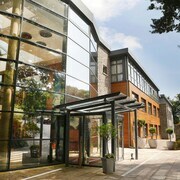 Situated in Cork, this spa hotel is within a 15-minute walk of Cork County Hall and University College Cork. Cork University Hospital is 1 mi (1.6 km) away. 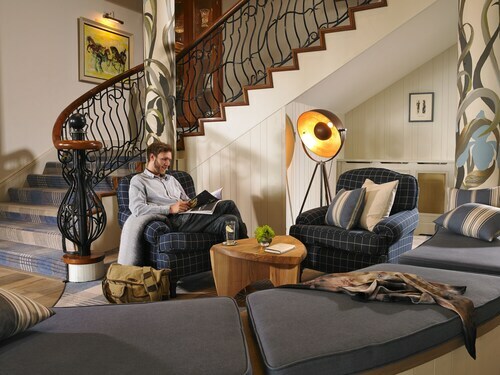 Situated on the riverfront, this eco-friendly hotel is within a 10-minute walk of Glucksman Gallery, Saint Fin Barre's Cathedral and Triskel Arts Centre. University College Cork and Cork Opera House are also within 15 minutes. CORK (Station) is 29 minutes by foot. Located in the heart of Cork, this eco-friendly hotel is within 2 mi (3 km) of Custom House, University College Cork, and Pairc Ui Chaoimh. Cork University Hospital is 2.5 mi (4.1 km) away. CORK (Station) is 10 minutes by foot. Located in Victorian Quarter, this hotel is within 2 miles (3 km) of Everyman Palace Theatre, University College Cork and Pairc Ui Chaoimh. Cork University Hospital is 2.6 mi (4.1 km) away. CORK (Station) is 9 minutes by foot. 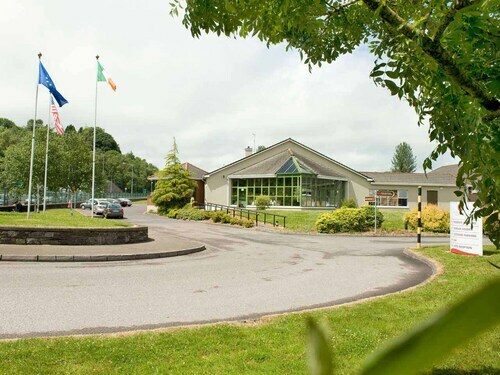 Situated near the airport, this hotel is 0.7 mi (1.1 km) from Musgrave Park and within 3 miles (5 km) of University College Cork and Cork University Hospital. Frankfield Golf Club and Turners Cross are also within 1 mile (2 km). 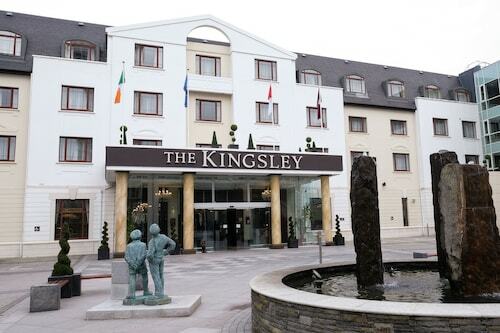 Situated in Cork, this hotel is within 2 mi (3 km) of Murphy's Brewery, Bells of Shandon and Butter Museum. Cork Arts Theatre and Cork Opera House are also within 3 mi (5 km). 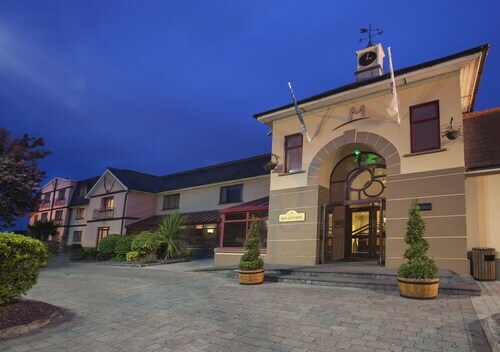 Situated by the sea, this hotel is within 2 miles (3 km) of Holy Family Church, Military Museum Collins Barracks and Dunkathel House. Everyman Palace Theatre and Custom House are also within 2 miles (3 km). CORK (Station) is 28 minutes by foot. 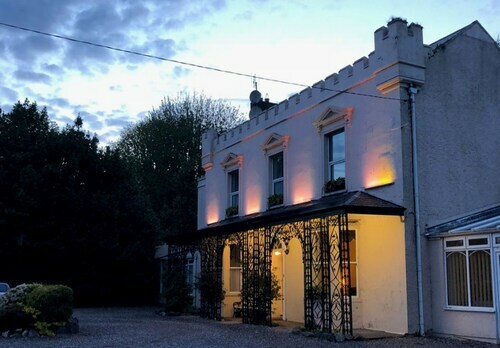 Located in a rural location, this family-friendly hotel is within 9 mi (15 km) of Ballymaloe Gardens, Ballynamona Beach and Water Rock Golf Course. 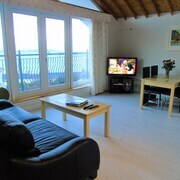 Ballycotton Cliff Walk and Perks Entertainment Center are also within 12 miles (20 km). 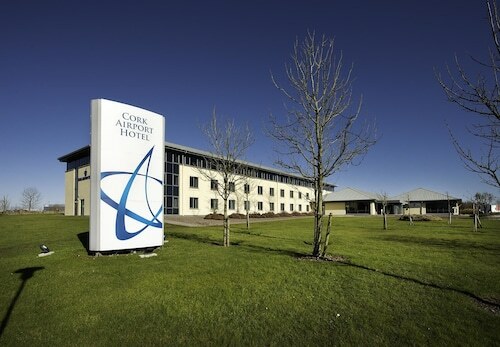 This family-friendly Cork hotel is located near the airport, within a 10-minute walk of Glucksman Gallery and University College Cork. Cork University Hospital and Pairc Ui Chaoimh are also within 3 miles (5 km). 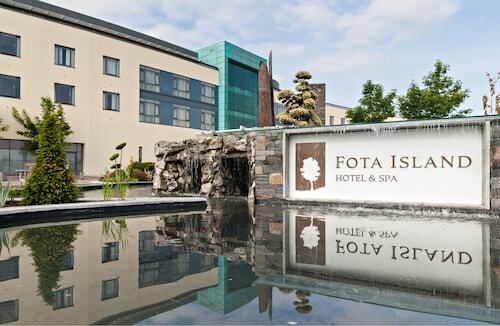 This family-friendly Fota hotel is within 3 mi (5 km) of Fota Wildlife Park, Barryscourt Castle and Fota House Arboretum and Gardens. Titanic Trail and Cobh Golf Club are also within 6 miles (10 km). Nestled on the beach, this Clonakilty hotel is within a 5-minute walk of Inchydoney Island Beach and West Cork Surf School. Michael Collins House and West Cork Model Railway Village are also within 3 miles (5 km). 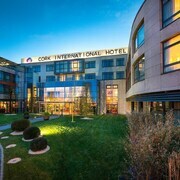 Find cheap hotels in Cork and spend more on having fun! Cork is easily one of Ireland's most beautiful counties. Whether you head to East Cork for some family fun and adventure, or to West Cork for art, music and all things foodie, there's plenty there for every type of traveller. And best of all, wherever you turn, you'll be surrounded by the breath-taking natural beauty of Cork. The Western Road district is a good bet for city centre luxury, or look around Shandon and Ballymacthomas for budget deals. With plenty of cheap hotels in Cork, you can enjoy a very budget-friendly break here. 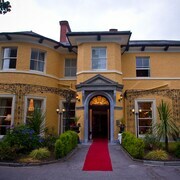 Or if you like a little luxury, there are many high-end hotels in Cork to choose from. With prices ranging from €60 up to €125, there are accommodation options for every budget. 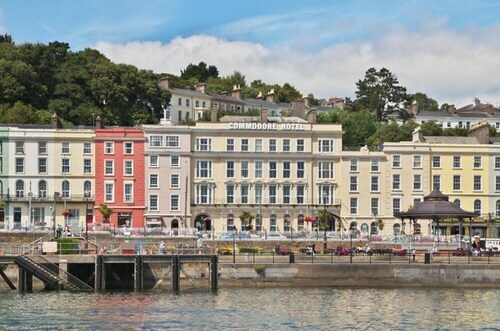 Family entertainment, coastal walks and water sports, as well as food markets and music festivals - all of this and much much more can be enjoyed in Cork. Head East to Youghal if you like active seaside fun, boating and fishing. The area is packed with activities for adventure seekers. Midleton is home to East Cork's famous Old Midleton distillery. West Cork is the perfect place to take a road trip. With its stunningly rugged landscape, the region is full of lovely little towns and quaint villages to explore. If food is one of your passions, start your trip in Kinsale - the gourmet capital of Ireland. Then continue along to Skibberreen, a food festival town, and finish your trip in Macroon. Here a weekly market takes place and it’s packed full of locally-grown produce and home-made delicacies. 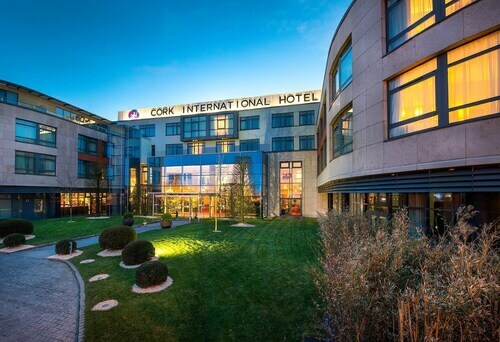 Staying in one of many excellent hotels in Cork city, means you can easily explore the whole region and enjoy some urban tourist attractions when you don't feel like venturing far. Whether you like a quiet countryside idyll, prefer active adventures or the hustle and bustle of a city break, you can find it all in the beautiful Cork county. 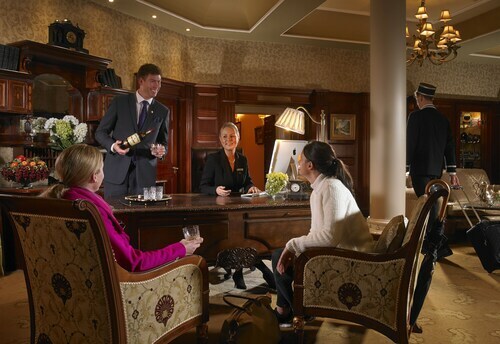 Cork hotels in the centre of the city make an excellent starting point to your holiday. Spend a day in town, enjoy its bustling night life then recharge in your cosy room ready for the next days' new adventure in rural Cork. ebookers can help find your perfect holiday bolthole in Ireland - so explore, book and enjoy! The staff were exceptional, really went out of there way for us! Great location. Super comfy room carpet. Nice pool but you need a pool hat for some bizarre reason. Room good with comfy beds. Good Location, friendly and helpful staff, good amenities. 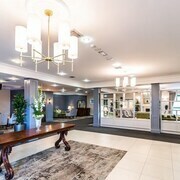 We stayed in room 203 beautiful room spotless clean very spacious the staff were amazing so friendly the breakfast was delicious served with a smile so yes I would definately stay there again I even purchased a gift voucher at check out as a gift for a friends birthday. Free parking. Friendly staff. Nice room with lovely view. Outdoor pool is a must. We arrived at the hotel to a warm and friendly welcome from receptionist Natalie Horgan who took time to tell us about local attractions and how to get to them. The food in the restaurant is of a high standard. I would recommend booking a Deluxe room as this gives you access to an exclusive executive lounge. Hot breakfast buffet could be much more appetising. Lovely staff.. great breakfast.. kevin on reception an asset.. happy with everything except our room wasnt serviced or resupplied.. food in restaurant was lovely . Piano player a great touch.. loved the musical path.